The SEED School of Miami is South Florida’s first college-preparatory, public boarding school. Our mission is to provide an outstanding educational program that empowers students to be successful, both academically and socially, in college and beyond. SEED Miami is currently in its fifth academic year, serving 300 scholars in grades six through ten. By 2020-2021, SEED will serve 400 scholars in grades 6-12. SEED gives students the gift of time. Having students from Sunday evening through Friday afternoon, SEED Miami scholars benefit from 120 hours each week with 24-hour-day faculty to focus on academic success and life skills development. Our unique college-completion model, consist of 24-hour, wrap-around health services including a dedicated team of Professors, 4 full-time Mental Health Counselors and Nurses, Student Life team, and administrators. The student life program encompasses the hours of 3:00 p.m. to 8:00 p.m. and includes after-school programs, student support services, study hall, life skills program and curriculum, overnight supervision and support, and crisis support, provided by a dedicated team. HALLS or Habits for Achieving Life-Long Success, the boarding program curriculum, enhances the social and academic skills of our students. Additionally, all students participate in Sparks biweekly. For twenty years SEED has succeeded at preparing under-resourced students to become first-generation college graduates, and SEED Miami is just getting started! South Florida opened its first college-preparatory, public boarding school in August 2014 and currently serves students in grades 6 through 10. 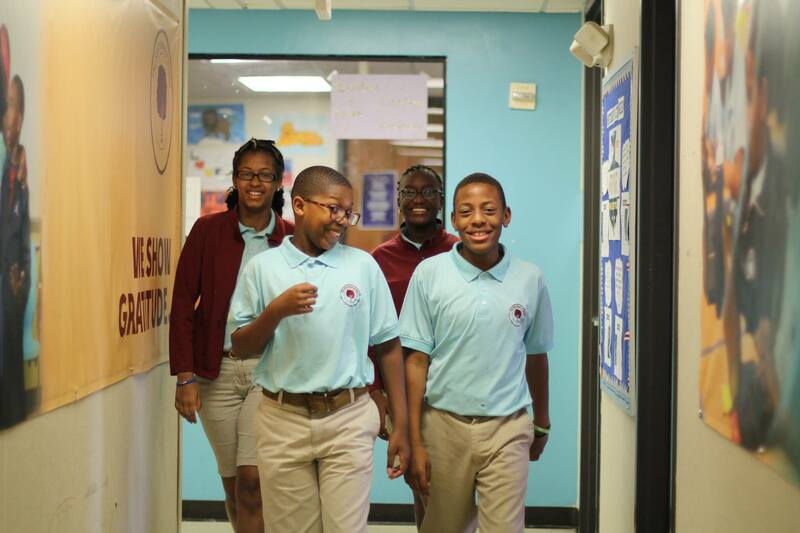 At full capacity, we will serve 400 students in grades 6 - 12. The SEED School of Miami will help prepare its students for college success, excel in 21st-century careers, and build bright futures for themselves and their families. The SEED School of Miami is the first tuition-free charter, college-prep boarding school in South Florida and the third of its kind in the nation. SEED Miami is currently operating in its fifth academic school year. We will continue to add a grade each year until we are a full middle and high school, serving 400 students in grades six through twelve. The SEED School of Washington, D.C. (SEED DC) has been in existence for 20 years and is one of the top performing schools in D.C. The SEED School of Maryland has also been recognized for its students’ performance since its’ opening in 2008. More than 80 percent of SEED graduates are first-generation college students. SEED’s supportive learning environment extends well beyond the classroom. It is important for all of our SEED students to be exposed to a variety of experiences, learning opportunities, and fun activities. Exposure trips at SEED Miami have included: Opportunities in the arts to the Broadway show, “Wicked”, visits to PAMM and the Margulies Collection. Sporting events with our partners at the Miami Heat and Miami Marlins. We also begin educating our scholars about college beginning in the 6th grade with college exposure trips to local Universities. Learning beyond the classroom also included exploration at the Frost Museum of Science, the Florida Keys, and summer adventures in the mountains of North Carolina, and much more! SEED is more than a traditional school - it is a comprehensive solution to the challenges some students face. In a 24-hour, college-prep boarding school environment, SEED integrates a rigorous academic program with a nurturing boarding program, as well as supports graduates through college completion. Our results prove our model is working, and we are just getting started! Students are thriving academically, socially and emotionally. At the SEED School of Miami we look to teach, coach, support and push our students on their paths to college and life success. SEED employees are dedicated to our mission and believe that, with the right resources any child can attend college and achieve his or her dreams.SEED Miami students are immersed in a college-preparatory learning environment, living and learning on campus from Sunday through Friday. The school offers small class sizes with exposure to a myriad of materials, content, literature, and cultural and social elements provides students with a well-rounded education. We also offer clubs and athletic programs, mental and physical health programs, and college counseling services, and more. At SEED Miami, students in grades six through ten live at the school from Sunday evening through Friday afternoon. Using the gift of time that comes with a 24-hour program, SEED reaches beyond the traditional school day and teaches students to thrive in a rigorous academic environment, to be ready for college, and to develop essential character traits for lifelong success: perseverance, self-confidence, and self-discipline. All of this happens in a safe, structured, and predictable environment: three healthy meals a day; consistent relationships with excellent role models; daily academic challenge and support; and extensive programs in athletics, visual and performing arts, and service. Students are held to strict performance standards and assessments to assure their progress toward college-readiness. A program that speaks to our mission is the development of HALLS (Habits for Achieving Life Long Success). It is an integral part of the SEED experience instilling in students the characteristics that prepare them both academically and socially for success in college. HALLS is represented by four habits that are practiced both explicitly and implicitly across the 24-hour program: Social Intelligence, Endurance, Exploration, and Deliberation. Examples of HALLS topics may include: cooperation, tolerance, communication skills, courage and tenacity. SEED knows that a student’s Spark is a vital part of who they are and how they look at the world around them including how they view academics. Sparks is an opportunity for students to begin exploring things they are interested in. Students have participated in Sparks such as Cooking, Dance, SEED Fit, Robotics, Bowling, French, Spoken Word, drama, Police Explorers Program, Yearbook, Fashion Design, dance, and more. Students attend 8 rigorous college-prep courses, and to reinforce the importance of academics and reading, SEED believes strongly in dedicated daily time for homework completion. Study Hall takes place daily after school and is supported by our dedicated Student Life Counselors. Each SEED Miami student is issued a planner at the start of the school year and taught time management and organization skills that support positive study habits. Additionally, DEAR or Drop Everything and Read, is a unique program designed to help propel a student's. Nearly half of SEED Miami sixth graders ended the 2017-2018 school year reading on grade level, when only 16% began the year reading on grade level. Likewise, SEED Miami’s inaugural sixth graders grew 3.5 grade level in reading within their first two years. The SEED College Transition & Success (CTS) staff is, above all, dedicated to the success of SEED students and graduates. Our student-centric focus comes from years of working with youth in their transition to postsecondary education and with academic institutions to make sure they're providing the right student supports. SEED has developed a middle school through college success model designed to support the academic and social development of students. The strong college readiness program for grades 6-12 prepares SEED students for the transition to college, while our College Transition & Success (CTS) team helps ensure our students successfully persist through college. The Student Ambassador program is one that exists across the SEED network. Interested students complete applications, gather references from adults, and complete a full interview with school leaders. Upon selection, this group of students are taught valuable public speaking and interpersonal skills that will assist them in serving as the student representatives of SEED Miami. SEED Ambassadors assist with hosting Trustees, tours of the school, student and staff recruitment fairs, and fundraising events. Tery J. Medina, M.A., M.S. Learn more about Miami Boarding School, Inc.